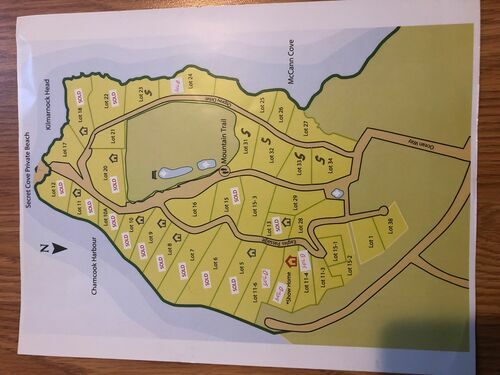 Five Building lots on a private mountain in a gated community setting for sale, four being water view and one being water front. Reason for selling is the owners are retiring. Owner will consider selling the lots individually. These lots are located in Chamcook , New Brunswick in Canada, which is only about 25 minutes to the US border State of Maine, USA and New Brunswick. The properties are within10 minutes from St Andrews, a small coastal town filled with amenities from the world famous Algonquin hotel and golf course to numerous restaurants, whale watching tours, fishing expeditions, shopping along with many other activities. Refer to attached map for property locations. Lots number 23,31,32,33,34. School, University, Hospital, Nursing home, Shopping area, Park, Touristic area, Mountain, Beach, Natural park, Forest.